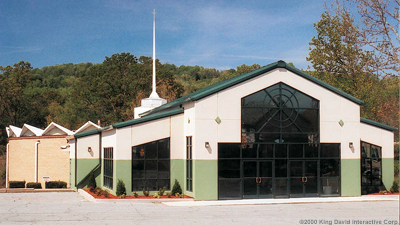 Can a metal church building be delivered anywhere in the USA? Yes. Contact one of our building technicians, toll free, at 1.888.449.7756 for area specific information. What will it cost to ship the building to me? Freight costs vary due to the weight of the building and the destination. To save our customers money on shipping expenses we use a packing strategy called share-loading to ship as many buildings and materials as possible in one full load. What are the churches made of? All Olympia steel buildings are made of 100% U.S. commercial grade steel. How secure is the framing? Steel framed buildings are fastened together with bolts and screws. The connections will remain secure because the frame is rigid and doesn't move. Traditional construction utilizing wood for the frame tend to warp and shrink through time causing fasteners, such as nails, to become loose. Yes, we use Akzo Nobel paints on all our metal buildings. Akzo Nobel is the leading manufacturer of heavy duty protective paints for steel. We also back our paint with a 40-year limited warranty. Can I choose a paint color for my building? Yes. You can choose from eleven wall colors and four trim colors. Many types of insulation is offered for you to choose from. Our metal building technicians will assist you in deciding what insulation type will best suit your needs for a new church building. Can I put doors and windows on my steel building? Absolutely. Olympia steel buildings can be customized to fit any type of door, window, ceiling lights, cupolas and more. Our building technicians will help you design the right church building for you and your organization. How long does it take to get my building delivered to me? Delivery time varies from project to project. Your building technician will give you a better idea of your delivery time once your church building requirements are understood. Will my building meet local building codes and wind and snow load requirements? All Olympia buildings are engineered to comply with regional building codes, wind and snow load requirements. 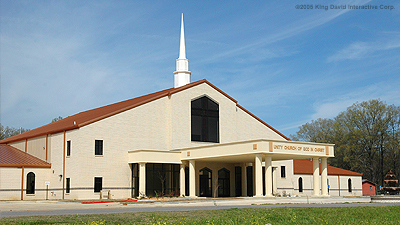 We will design your new church building to meet these requirements plus provide drawings stamped and certified by one of our registered engineers. 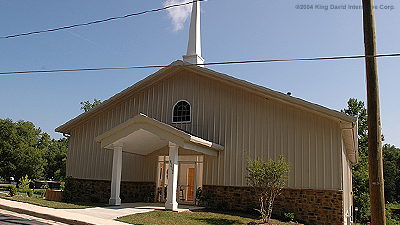 Call toll free at 1-888-449-7756 for a free metal church building price quote.